Choose whole bean coffee you love with ease by making yourself familiar with a few terms. We understand that the grocery wall of coffee beans can cause anxiety. With so many options, how can you be sure to choose coffee that will make your mornings better? 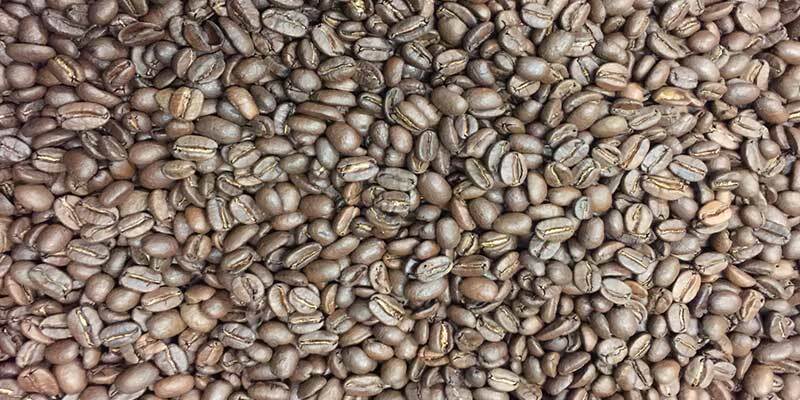 What are the basic types of coffee roasts? 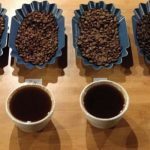 How do the different roast levels impact flavor? How do you translate the roast profile into a match for your palette? Get to know the basic coffee roast levels. Light Roast indicates both the light brown color of the coffee bean, and the lower temperature to which it is roasted. This coffee is roasted to what is called first crack (a temperature at which the beans expand in size), will have no oil on the surface of the bean and will have noticeable acidity when brewed. Flavors from the bean’s origin are better retained in a light roast than in a darker roast. Light roast coffees retain the most caffeine. While enjoying light roast coffee, you will notice more subtle flavors than with any other roast. 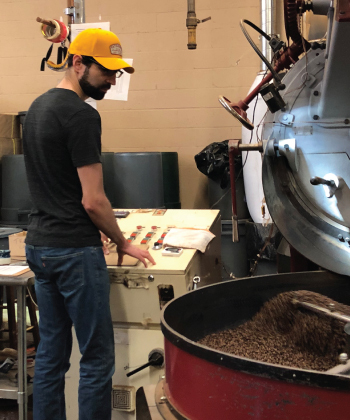 The Medium Roast label applies to coffees that are medium brown in color and are roasted past first crack, and before second crack of the bean. They appear dry on the surface and will showcase more balanced flavor, aroma and acidity. Medium Roast coffees will have less caffeine than Light Roast coffees. Dark Roast coffees are dark brown in color and will appear shiny because the oil of the coffee is now on the surface of the bean. Roasting a coffee dark (or too dark) hides the nuanced flavors from origin. Dark Roast coffees also have significantly less caffeine than those roasted to the light or medium stage. This is why most after dinner coffees are a darker roast. Your personal preferences will determine the type of roast you choose. Many coffees provide tasting notes on their labels. Tasting notes are quick guides to the aromas and flavors you will find while brewing and sipping those coffees. 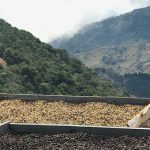 These descriptors are for flavors that naturally occur in coffee a result of the region in which the beans grew, the weather their harvest year, and the way the farm and miller processed the beans after harvest. The basic flavors you taste daily are sweet, sour, salty, bitter, umami and starchy (new add to the list). Your palette further identifies those elements as strawberry or lemon or pickle or green pepper or cheese. All these flavors and more can occur in a coffee naturally. Knowing whether you like a dark roast or a medium roast will help you navigate the coffee bag label with ease. Experience trying coffees from different regions will help you recognize the nuanced flavors that are present in an Ethiopian coffee. With more sampling, you will also identify the process used to mill and dry the coffee. Will all the elements that impact flavor, some enthusiasts keep a notebook to track their coffee selections and experiences. With just a little information, you can confidently choose whole bean coffee you love. Looking for award nominated or winning coffees is also a helpful tool. 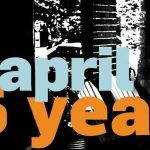 We’re happy to help you learn more about coffee!